Engadget has obtained an internal Verizon email explaining that the DROID Charge is delayed indefinitely. We are assuming this is due to the recent 4G LTE outage that has just been fixed. The Charge was due to drop today on the Verizon Network. 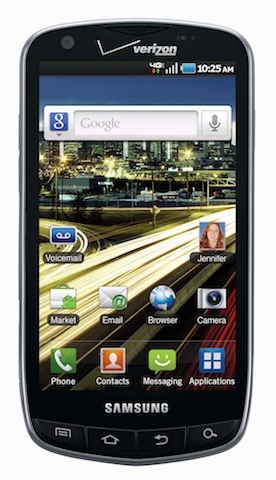 The DROID Charge runs Android 2.2 phone features a 4.3-inch Super AMOLED Plus display and a speedy 1 GHz processor.It totes has a 8MP rear-facing camera and a front-facing 1.3MP camera. The Droid Charge availability has been delayed. More to come on the availability. Customers have the option of providing store representatives with their contact information and they will be notified when the phone is available for purchase.